Immigrants in Ceuta are held in the Centro de Estancia Temporal de Inmigrantes (C.E.T.I. ), the temporary holding centre for immigrants. The reception camp was set up in 2000 by the Spanish government as a response to the rising number of tents in the forest of Ceuta built by irregular immigrants in the 1990s. The C.E.T.I. was meant to provide basic needs for arriving immigrants until their situation is clarified. They receive three meals, medical treatment and psychological support as well as Spanish lessons. They can stay in shared rooms containing beds for 10 people. The C.E.T.I. is an open access space – nobody is obliged to stay there: for example, a group of Indian immigrants preferred to stay in a tent camp in the forest. Despite this exception most immigrants stay in the C.E.T.I. because for them it’s nearly impossible to find work in Ceuta and to manage everyday life. Even if the C.E.T.I provides all basic needs, immigrants have to endure the everyday pressure of living under the observation of omnipresent police forces in the C.E.T.I. The very impersonal mode of psychological support in the camp is often inadequate in easing the trauma many immigrants have suffered during their trips through the desert. In the squeeze of living in shared rooms, conflicts between immigrants are a part of the daily life of the camp. When irregular immigrants are picked up in their boats in the sea, they are most often brought to Ceuta instead of reception camps on the Spanish mainland. In the enclave on the coast of Morocco the way to Europe is blocked, and the immigrants can hardly hide in a little town like Ceuta and eke out a living on their own. 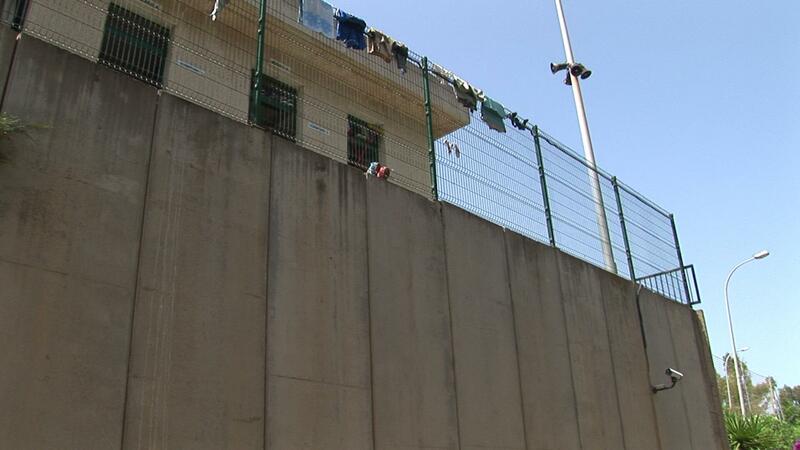 Human rights organizations like the Spanish NGO CEAR criticize the Spanish government for misusing Ceuta, and especially the C.E.T.I., as a permanent detention centre. The C.E.T.I. was designed to accommodate around 500 people for a temporary stay. But reality in the camp looks different: rooms are crowded, some immigrants don’t stay days or weeks, but rather months and years. Even if applications for asylum are denied, people have to wait for years in the C.E.T.I too see what is going to happen to them. Under these circumstances it isn’t easy to keep despair at bay.